Since 1995, the Cultural Endowment of Estonia awards annual awards that are designated to figures in areas of culture and sports that have been the most outstanding during the year. Annual awards of the Cultural Endowment of Estonia are awarded in the areas of architecture, audio-visual art, music, literature, physical fitness, and sport, visual and applied arts, dramatic art and folk culture. Endowments shall present their nominees for the annual award of the Cultural Endowment of Estonia, and the supervisory board of the Cultural Endowment shall select one laureate in every category. Altogether, eight annual awards are awarded by the Cultural Endowment. In addition, endowments declare the annual awards of their respective areas of culture – the annual awards of endowments, designated by each endowment panel. On an average, endowments award a dozen annual awards. The amount of award is determined/approved by the supervisory board of the Cultural Endowment separately for each year. Along with the monetary award, a laureate is awarded the symbol of the award. Since 2013, it is a brass sphere (titled “Jonnakas” (stubborn) by the authors). 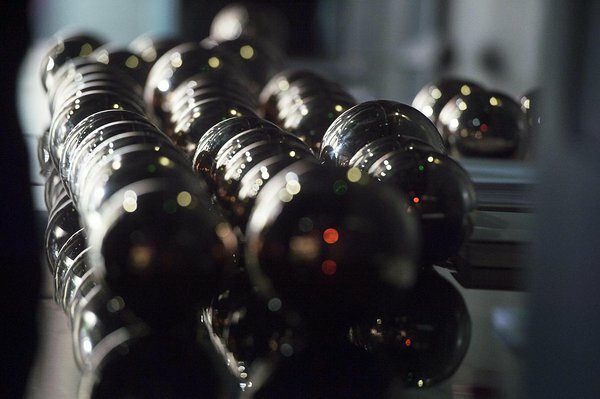 The sphere is prepared by the method of shear forming, covered in polish and the weight is added by tin casting. The sphere bears the etched logo elements of the Cultural Endowment and engraved name of the area of culture or endowment, as well as the name of the laureate and year. Laureates of the annual awards of the Cultural Endowment and of Lifetime Award of endowments receive the sphere with golden polish, the diameter of which is 200 mm, and laureates of endowments receive the sphere with copper polish, the diameter of which is 150 mm. The authors of the sphere “Jonnakas” are Risto Tali and Rait Siska. Since 2006, the Cultural Endowment of Estonia recognizes the professional dedication of persons active in the counties in areas of the arts, folk culture and physical fitness and sport with the cultural award “Kultuuripärl” (cultural pearl). The award was initiated by the supervisory board of the Cultural Endowment of Estonia. County governments and/or local government associations may participate in issuing the award as cooperation partners. One award is issued every year in every county (altogether 15 awards in 15 counties). A county expert group decides the laureate of the award. If the award is issued along with cooperation partners, the jointly established committee decides the laureate. The amount of award may differ by counties according to the wishes of cooperation partners. The amount of award allocated by the Cultural Endowment is the same for every county and is approved separately for each year by the supervisory board of the Cultural Endowment of Estonia. In addition, every expert group recognizes dedicated people active in the areas of culture and sport in the county with different awards. Gratitude is expressed to the laureates with a monetary award and a letter of appreciation. The amount of award is approved by the supervisory board of the Cultural Endowment separately for each year.